Global recorded music sales fall by $1.5bn | What Hi-Fi? It's not been a good day for the music industry: this morning we reported on a drop in music royalties, and this afternoon comes news that global recorded music sales slumped by almost $1.5bn last year. 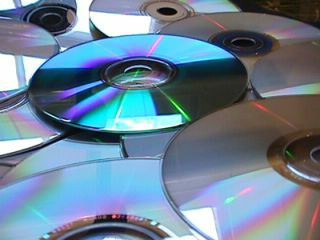 According to the annual Recording Industry in Numbers report by the IFPI, the UK lost its position as the third largest music market after sales of CDs collapsed by nearly a fifth. Germany now ranks as the third largest music market after the US and Japan. Overall UK sales were $1.38bn, down $170m or 11% year-on-year, due to a 19.2% fall in so-called 'physical' sales to $920m. On the plus side, sales through digital channels grew by a healthy 19.6% to $347m. In total, global recorded music revenues fell 8.4% to $15.9bn in 2010, a drop of $1.45bn (£905m). Digital revenues grew by 5.3% year-on-year to $4.6bn, representing 29% of all recorded music revenues. "The demand for new music seems as insatiable and diverse as ever, and record companies continue to meet it," says Frances Moore, chief executive of the IFPI. "But they are operating at only a fraction of their potential because of a difficult environment dominated by piracy."